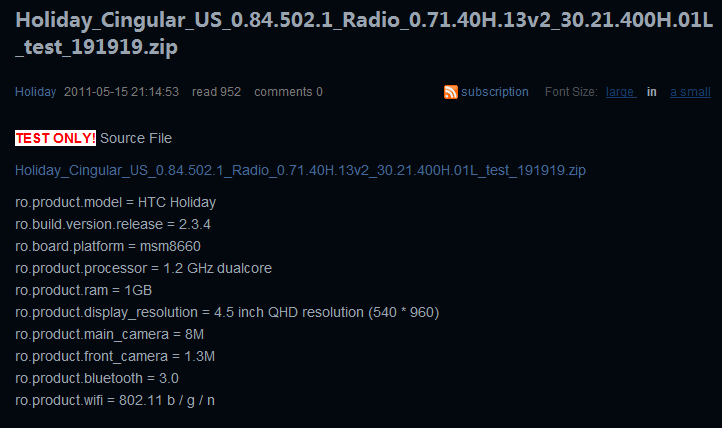 Wondering what the Nexus 5 2015 "Bullhead" that we've been speculating about for the last three months might look like? 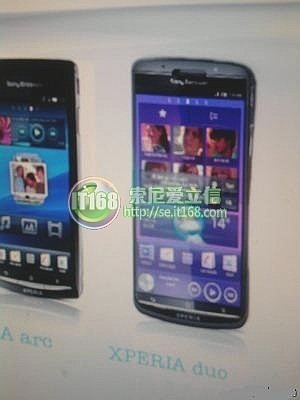 An alleged leaked photo of the phone might be our first glimpse. Indonesian Google+ user Inno Yudha posted the photo above to a Nexus enthusiast community on Sunday afternoon (US time). 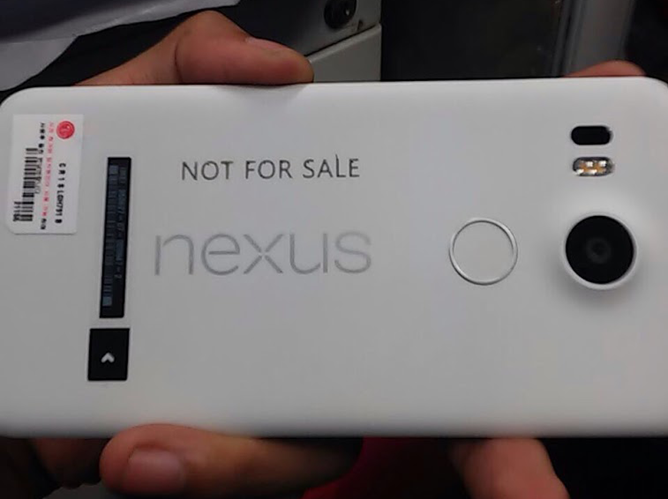 He gave no indication of what it is, but based on the clear "Nexus" label on the rear, the "not for sale" markers, and the general size, many are speculating that this is a pre-retail version of LG's Nexus phone. We're pretty skeptical about this one. On the one hand it roughly matches fan-made renders published last week. 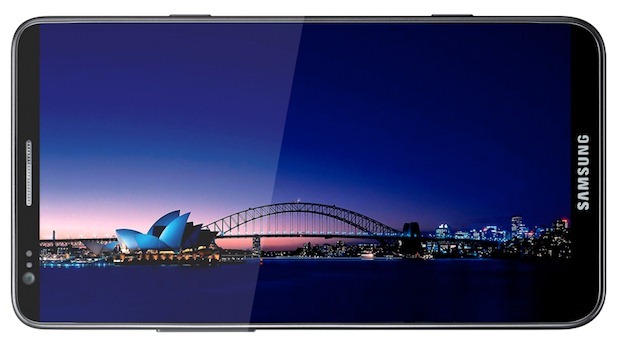 Very little is known about this device at the time - the pictures suggest a near edge-to-edge display and a possible front facing camera, but that's about it. If the actual device holds true to these specs (and I see no reason why it wouldn't), then this is definitely a piece of hardware to watch for. With specs like that, it's likely to scorch everything on the market. Unconfirmed Rumor Says T-Mobile G2 To Receive Gingerbread "Soon"
Good news for G2 users: it looks like the Android update fairy may be smiling upon you! 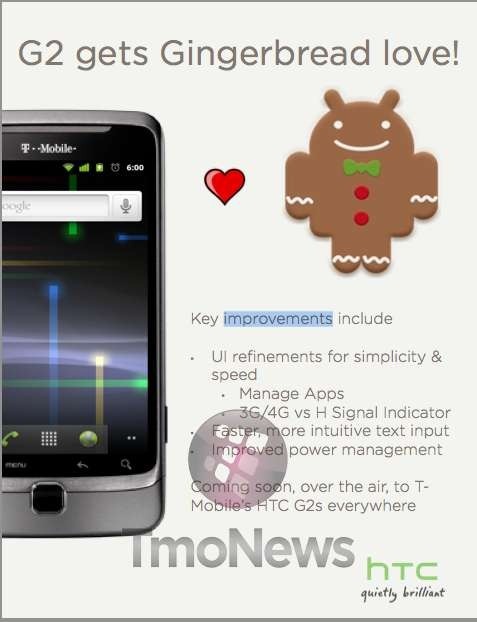 According to TMoNews, a Gingerbread update for the G2 is in the works and it should be ready "soon." In a nutshell, this update should bring improved battery life, some UI improvements, and a better keyboard. There really isn't a whole lot of other information available, but we'll definitely be keeping an eye on the situation and let you know as soon as more info drops. We've been able to speak so highly of Samsung lately, considering its timely source code releases and recent device updates, but now this happens. Rumor has it that Sammy has duped owners of the Galaxy Tab WiFi by replacing the CPU with an older version, which in turn required a downgraded graphics processor, too. This is, of course, in comparison to the 3G Galaxy Tab, which was released several months prior to the WiFi version. The 3G Tab has a 1GHz Samsung Hummingbird processor along side a PowerVR SGX 540 for graphics processing. According to a thread over at the XDA Forums, the WiFi Tab only has a 1GHz OMAP 3630 with a PowerVR SGX 530 handling the graphics.